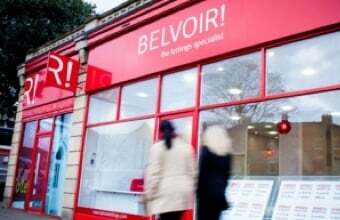 Good Buy To Let on Edge of Broughty Ferry | Belvoir! This is a well-presented two double bedroom apartment in a nice residential area on the edge of Broughty Ferry. This is a well-presented two double bedroom apartment in a nice residential area on the edge of Broughty Ferry. Located in the well established and popular after area of Craigiebank the maisonette apartment forms part of a well maintained block and provides comfortable accommodation over 2 levels. With fixed price of £84,500 and a conservative rental of £440 (though I would try higher) it gives you a healthy rental return of 5.7% and with a good chance of appreciation over time.